We can offer pre-packed ready to assemble options to manage freight availability or fully assembled to your requirement to reduce downtime in assembling. Additional parts like castors for mobility, hook bars for connectivity & many other accessories to efficiently convey products through the lines of your production or dispatch areas. A unique flexible conveyor that expands, contracts, twist and turns. Quick set-up and adjustable height legs on lockable castors. Skate wheels or rollers designed to ensure self-tracking. 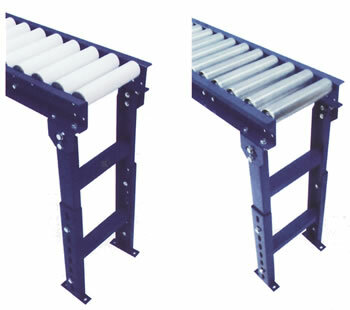 Expandable gravity roller and skate-wheel conveyors provide an economical solution in materials handling. 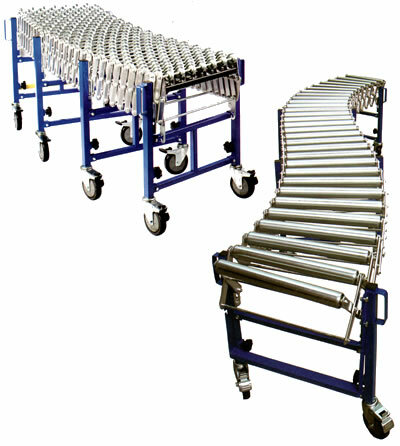 These conveyors are ideally suited for packaging, transporting and manufacturing lines. A proven performer for loading and unloading.